Biomimicry is innovation inspired by the study of nature and the use of those observations to improve applied STEM approaches. This kit includes a series of 12 STEM-related displays which reinforce the phrase "nature knows best!" 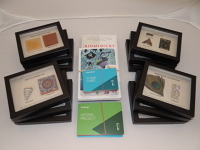 Each 5" x 6" glass-topped display features an example of an important product that was inspired by careful observation of a plant or animal in nature. Some of these discoveries were the result of calculated research efforts while others were more or less stumbled upon by mistake. What these displays show is that nature expresses the basic principles of science, technology, engineering, and math (STEM) everywhere. The kit also comes with the game Extraordinaires Design Studio, which is designed to introduce the engineering design process and bring out the innovator in learners of all ages. The goal of the game is to design an item inspired by nature! 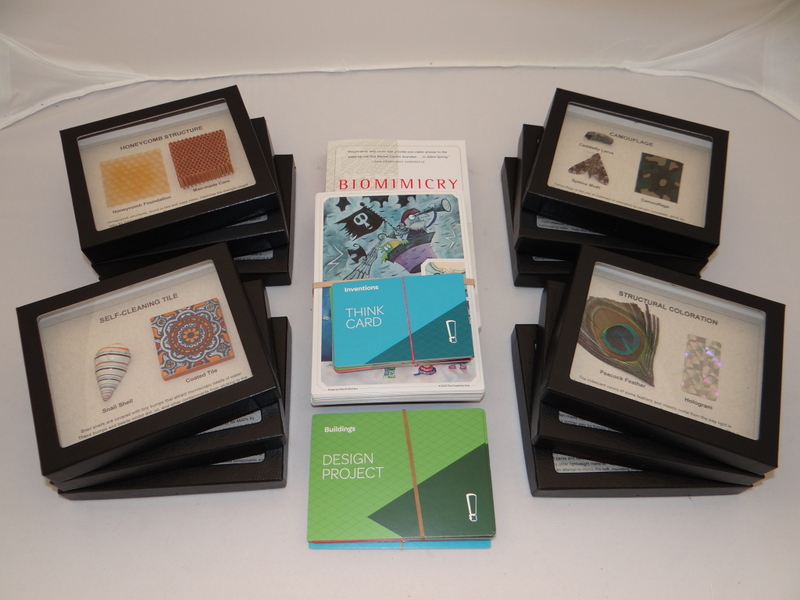 In this kit: Extraordinaires Design Studio game, Biomimicry by Jane Beynus, 2 biomimicry displays including: self-cleaning tile (beading of water on snail shells), strong yet lightweight building materials (honeycomb patterns), synthetic thermal insulation (down feathers), hook and loop fasteners like Velcro® (burdock seeds), hard composites (mother of pearl), reflective coloration (peacock feathers), Fastskin® fabric and boat hull coatings (shark skin studies), waterproof glues (beach mussels), strong artificial fabrics and fibers (silkworms), camouflage principles (caddisfly larvae, sphinx moths), reactive fabrics (pine cones response to humidity), and strong structural weaves ( glass sponges).